What is smoking Aston Merrygold ?! He’s not known for smoking cigarettes, but Aston Merrygold clearly doesn’t have a problem with the electronic variety. After appearing with Marvin Humes, JB Gill and Oritsé Williams at a gig in Southend-on-Sea, the smallest member of JLS pulled out the shisha cigarette in the band’s tour bus. Along with a drink, Aston had a puff and reclined in is his chair next to Marvin while eager fans waved hello. Called the eShish, the smoking contraption is the latest craze to be enjoyed by celebrities like Miss England Laura Coleman, I’m A Celebrity’s Hugo Taylor, as well as London born singer and rapper L Marshal who has written hits for the X Factor four-piece. However, non of the other boys seemed to be puffing on the e-cigarette which comes in a variety of fruity flavours. 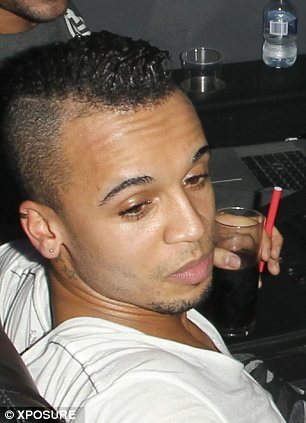 Aston was obviously trying to unwind after the gig at Mayhem night club. On stage the boys gave a crowd-pleasing performance of a selection of their best-known hits. 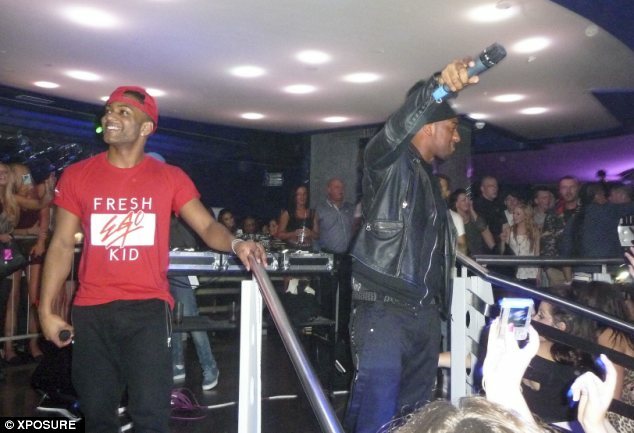 But whilst Aston, JB and Oritsé sang to the crowd, Marivn played the band’s DJ. In control of the decks, the newly married singer looked the part wearing a baseball cap, grey sweater and large silver headphones. In typical JLS fashion, he matched his blue hat to his shoes whilst JB did the same but with a red T-shirt to go with his colour palette too. Oritsé stuck to black, opting for a beanie instead of a cap to complete his urban sports look. 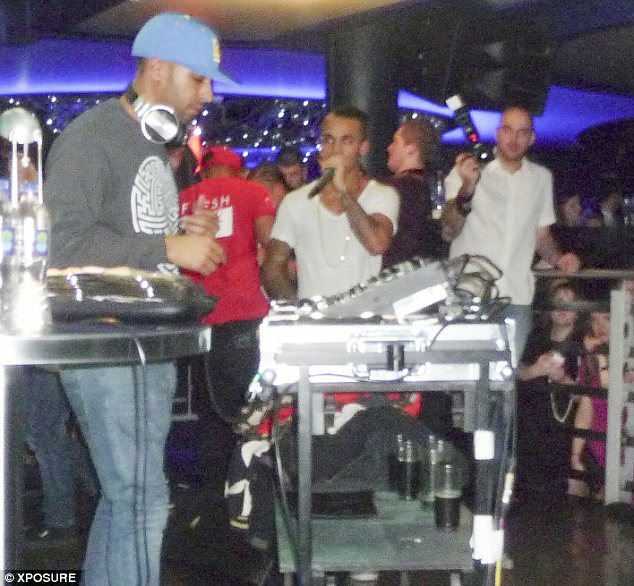 Whilst Aston looked like he could have used a coat in a very thin white V-neck T-shirt and jeans.